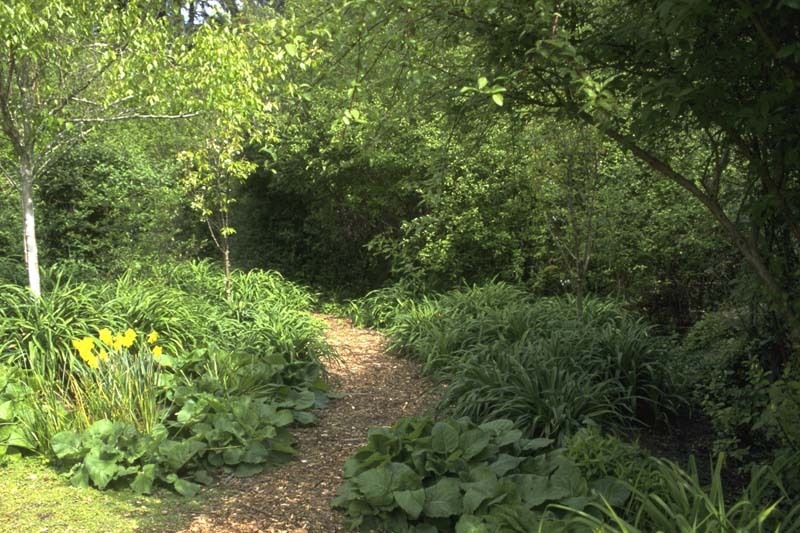 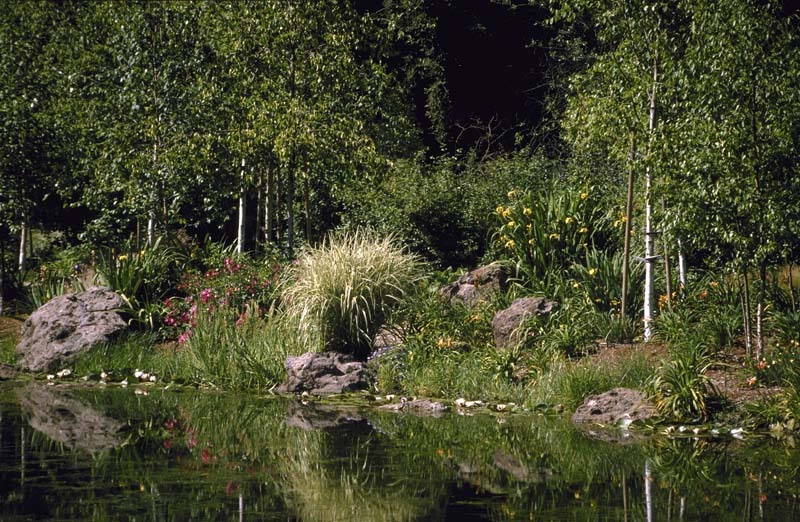 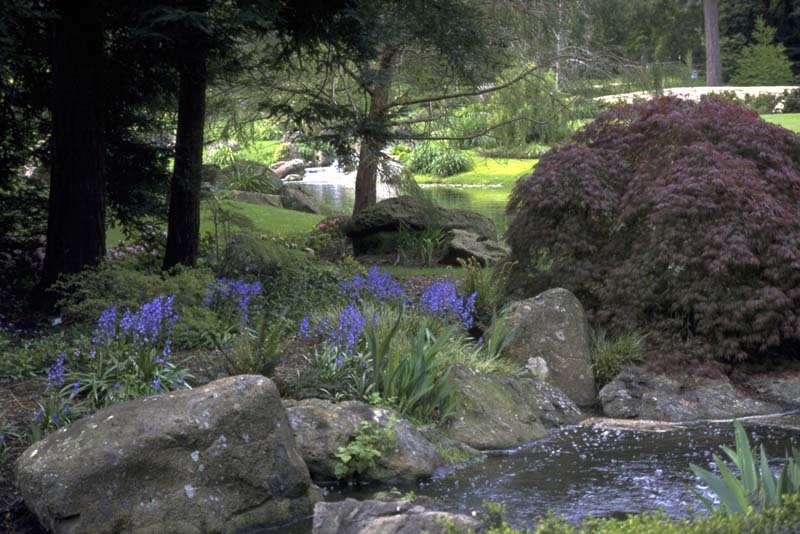 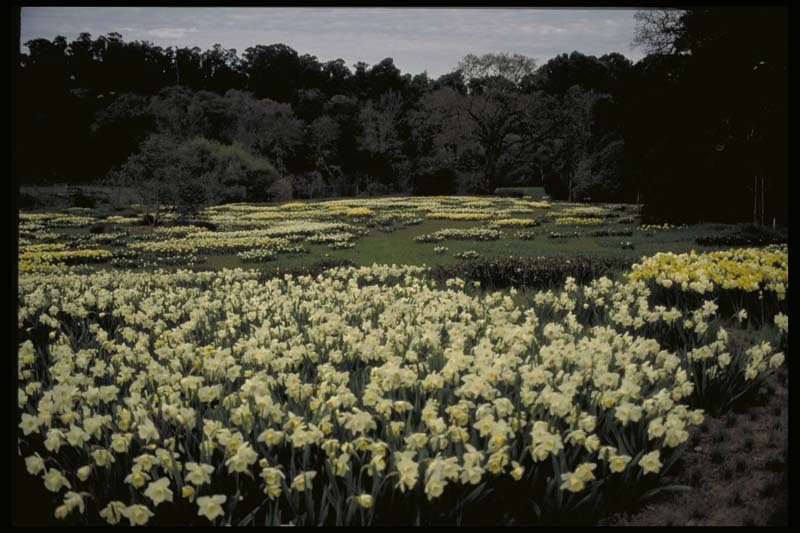 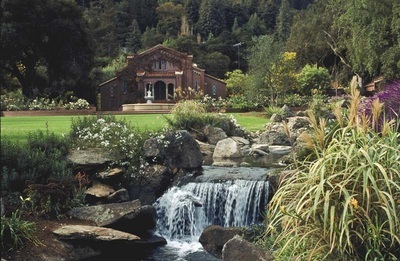 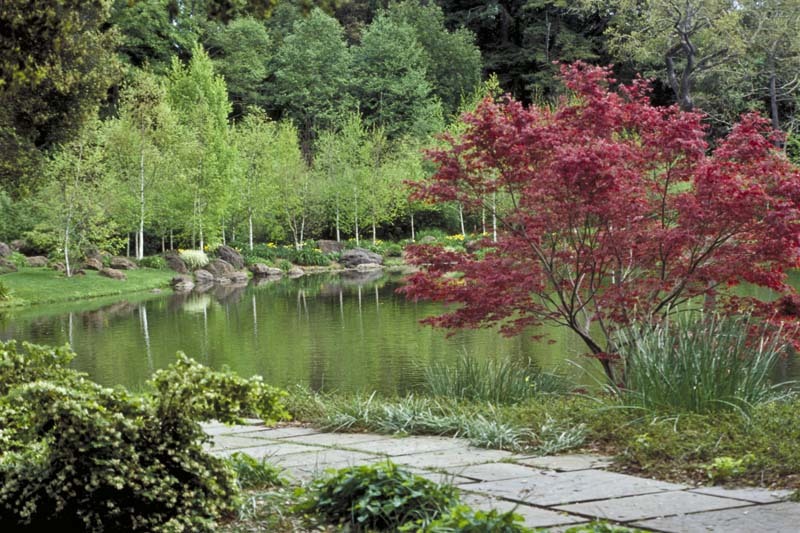 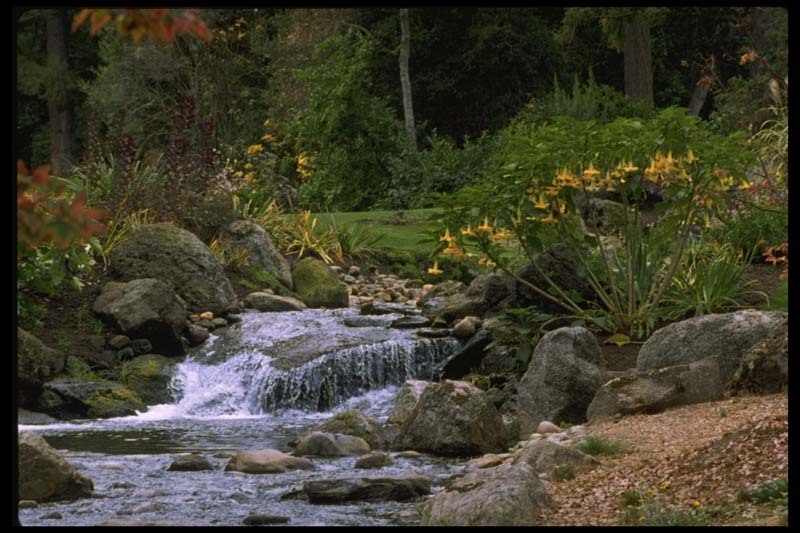 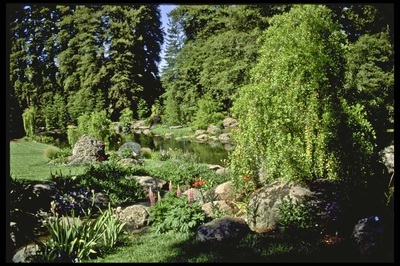 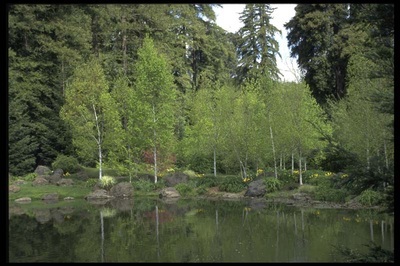 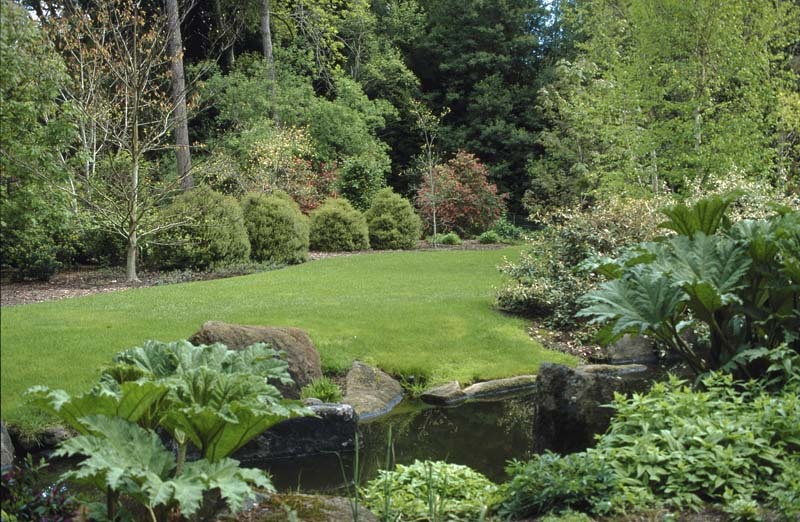 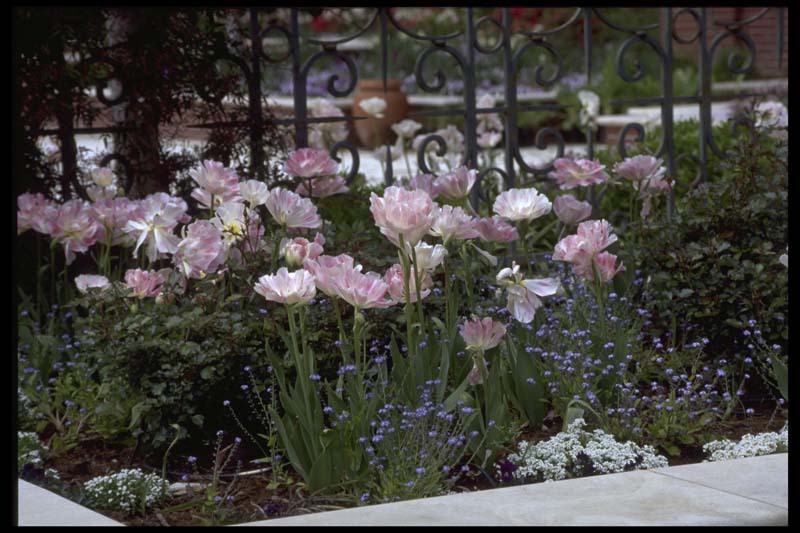 This project involved the restoration of a fifty acre garden from the 1920′s. The property had been abandoned for thirty-five years and the old roads were filled with trees. 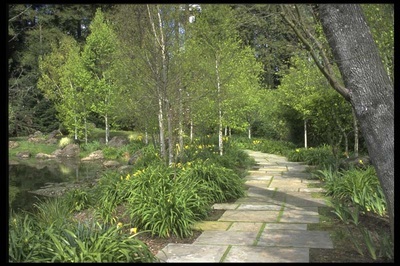 The first step was discovering all that was hidden amongst to French Broom and Acacia. 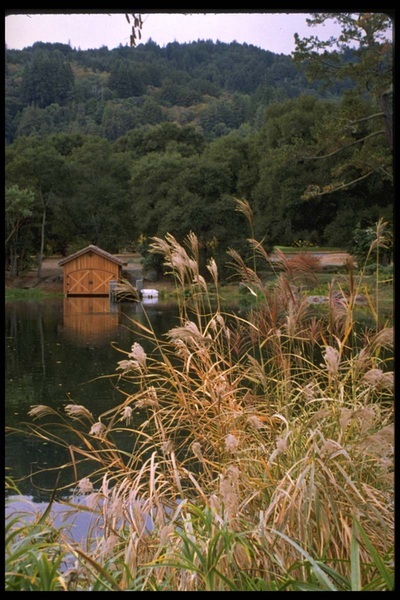 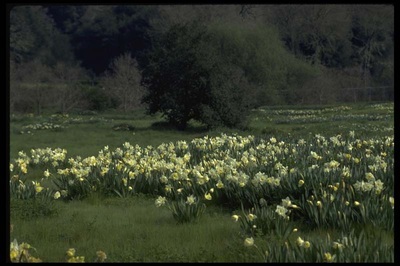 Restoration included pruning and caring for over two thousand oaks. 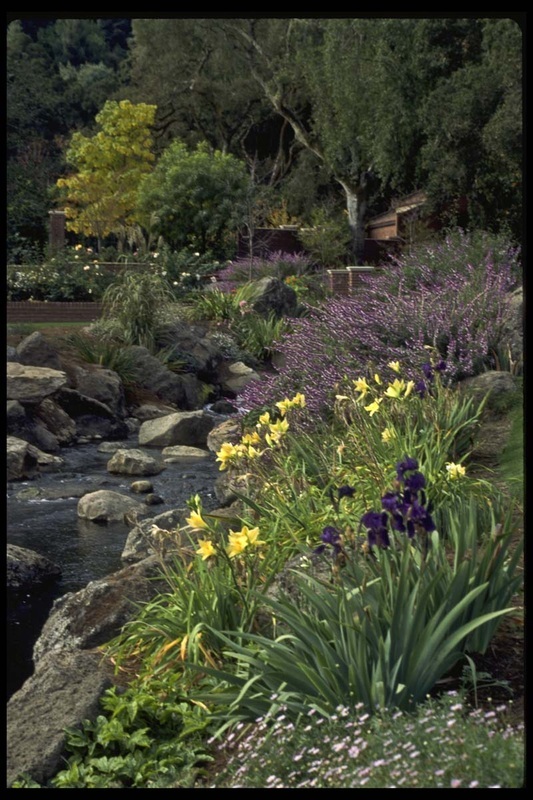 Project responsibilities include site design, planning, grading, drainage, plant material design, selection and placement, boulder placement, irrigation and overall coordination. 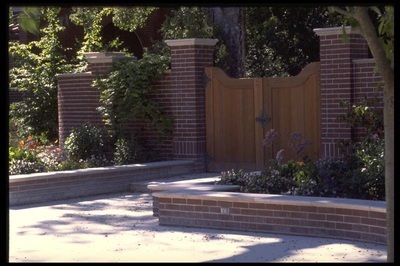 The Scope of hardscape elements included design for balustrade, walls, flatwork, wooden gates and iron work. 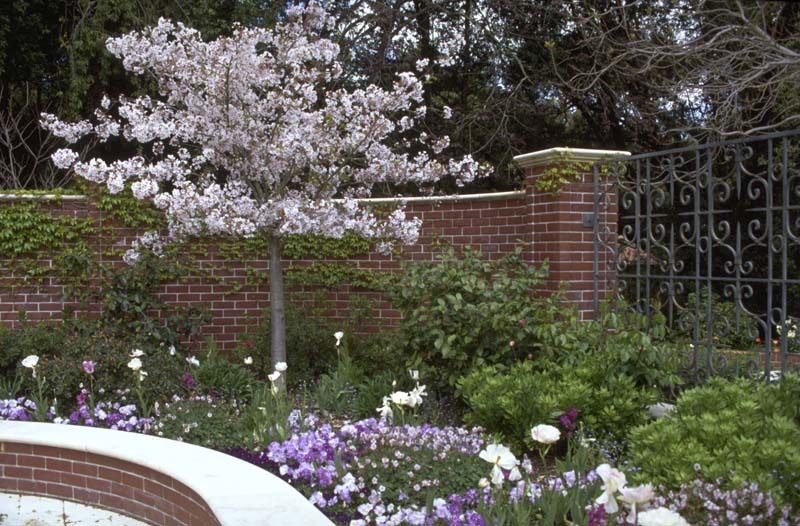 For example a courtyard garden was designed for the 1920’s Julia Morgan theater to make guests feel comfortable and create a sense of intimacy with brick walls and iron grillwork to match the architecture and view the larger estate spaces through. 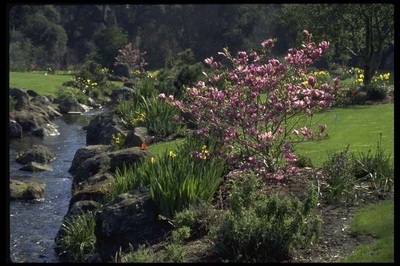 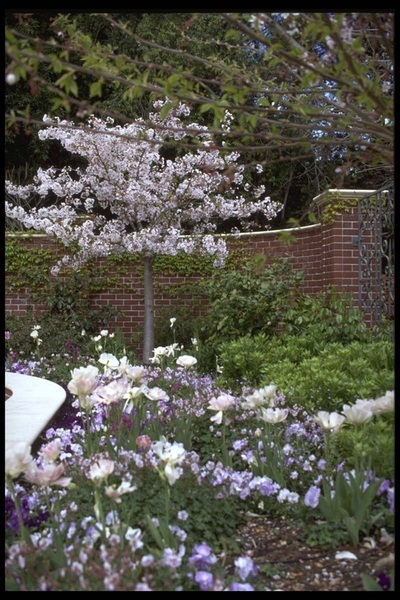 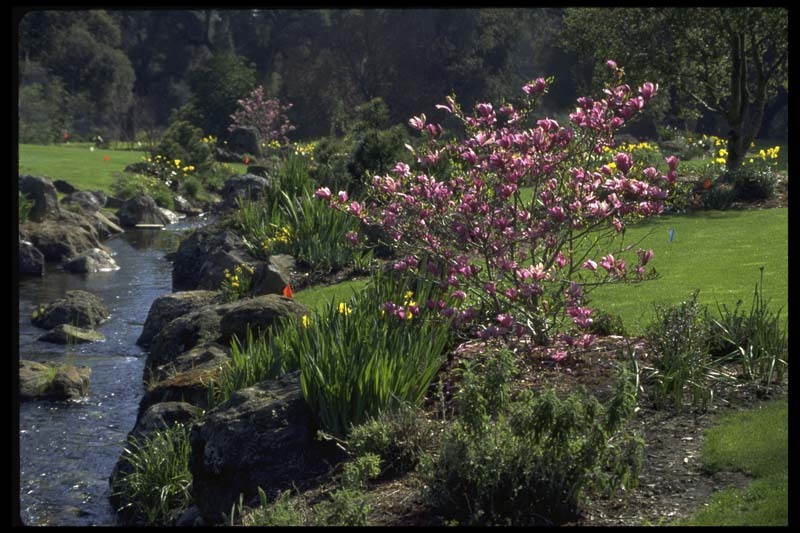 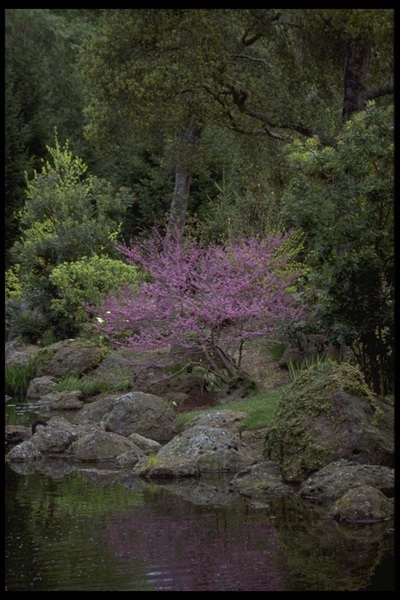 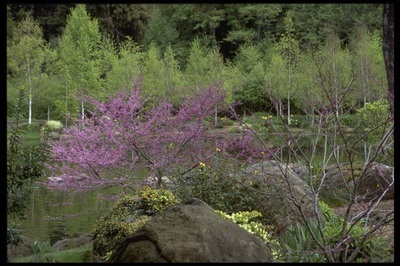 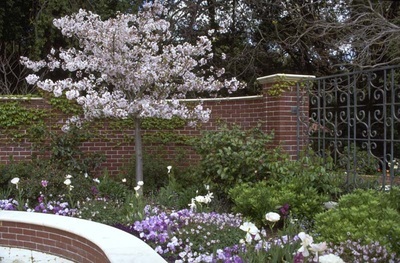 The theater garden required the design of an accompanying period planting featuring flowering cherries camellias, hydrangea, wisteria, and Japanese iris, etc. Our firm was also responsible for the design of roads, and cart paths throughout the property. 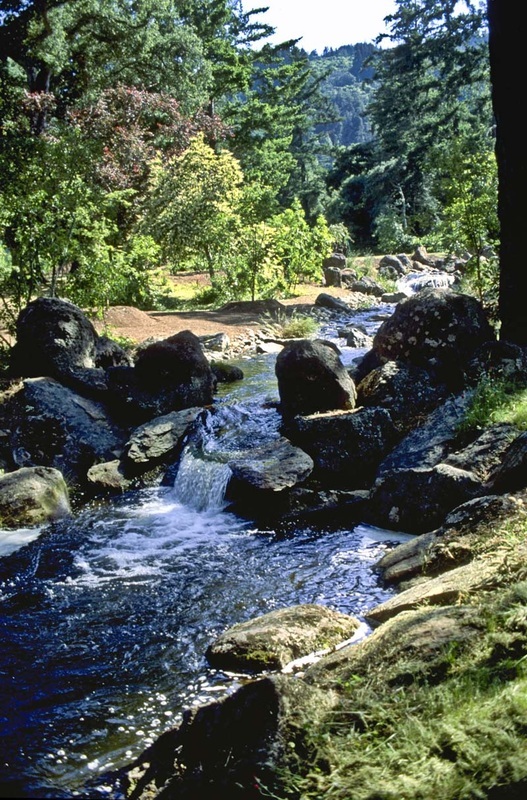 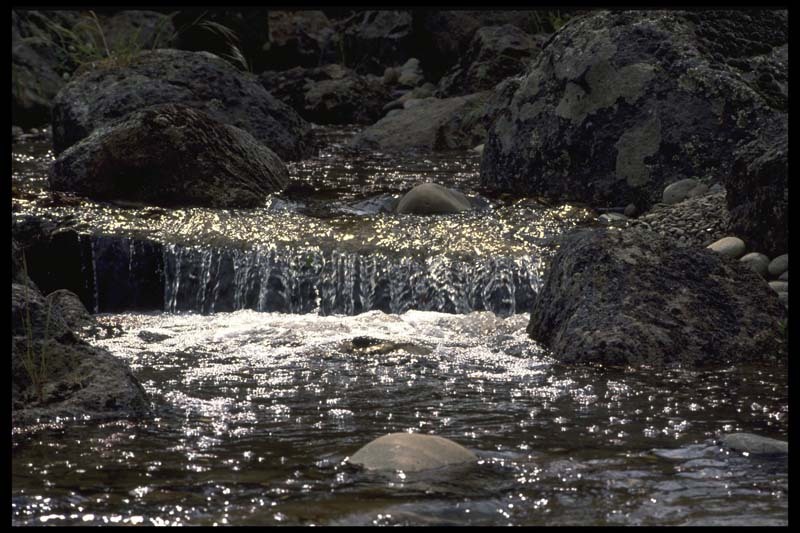 The project included the design and installation supervision of a man made creek flowing over 5 acres and into a 3 acre biological pond. This natural man made pond has attracted Great Blue Herons, Osprey, Egrets, Crayfish, Turtles, and migratory birds. 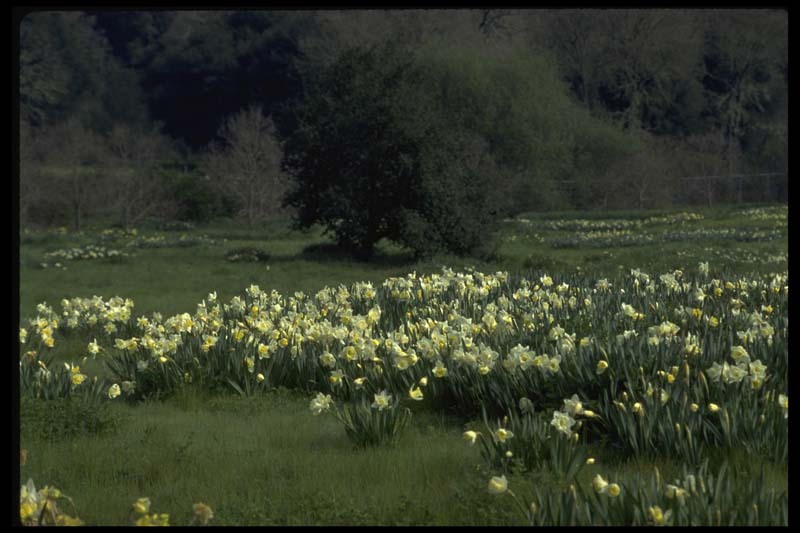 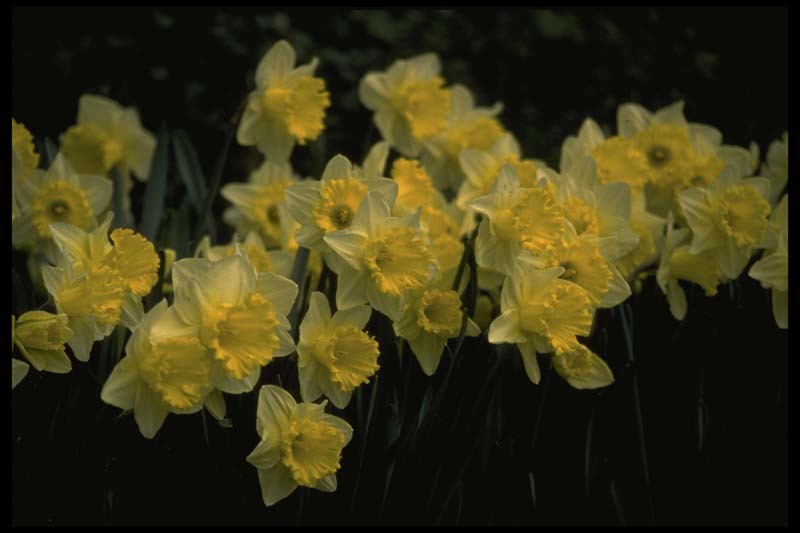 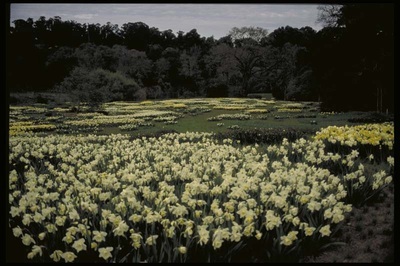 We designed and supervised the installation of a 5 acre native grass wildflower meadow in which 150,00 daffodils were planted in drifts to afford blooming and subtle fragrance from November through June. 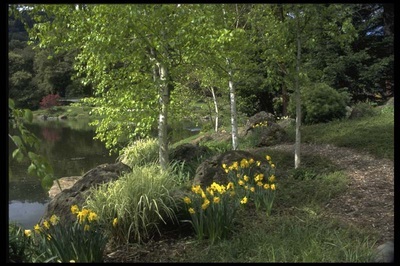 Afterwards, plugs of native greases were planted on top to create a year round native meadow. California poppies and other wildflowers were also planted to provide seasonal interest and color.